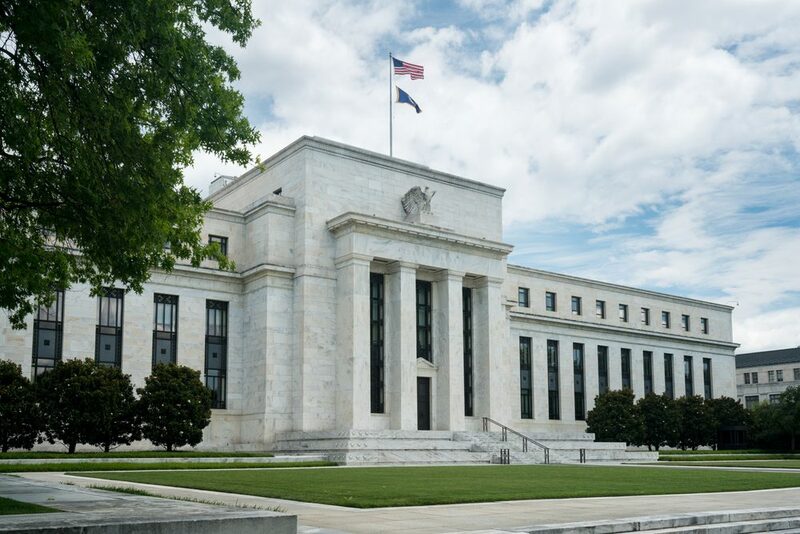 As expected, the Federal Reserve hiked interest rates to 2.25% yesterday. The markets had priced in the increase, which is the third interest rate rise this year. The real focus of attention was on the Fed’s ‘dot plot’ which shows where policymakers believe interest rates are going to go in future months. There has been continued speculation that there could be a fourth hike in December and investors waited to see whether the ‘dot plot’ supported this belief. It did. 12 of 16 officials are in favour of four rate hikes this year which makes another rate rise in December likely. Of course, there is still time for this to change but as it stands, it does appear that there will be another hike before the year is out. The dollar weakened immediately following the announcement but has quickly retraced that and has begun this morning by climbing higher against the pound and euro. In Brexit-related news, the Chartered Institute of Procurement and Supply (CIPS) has said that a failure to reach a deal with Brussels before the Brexit deadline could lead to massive queues at British borders. In a survey of 1,300 UK and EU-based supply chain managers, CIPS found that customs delays of just 30 minutes could bankrupt one in ten firms. The survey also found that almost 25% of British businesses are planning to stockpile goods to counter the possibility of shortages in the future. Chancellor Philip Hammond announced the next budget date yesterday afternoon. He confirmed that it would take place on Monday 29 October; budgets usually occur on a Wednesday, but Hammond selected a date that would ensure there was no clash with the final stages of Brexit negotiations in November. If you weren’t already aware, we have a LinkedIn page which you can follow for market updates, as well as information on some of the products and services we offer. We recently pushed through the 700-follower mark and would love to get past 1,000. Do help us achieve that if you can. The CBI distributive trades survey results were released yesterday and came in better than expected. Of all retailers surveyed, +23% said sales were up from the same period a year ago. While that is down from +29% in August, it is significantly above the +16% economists had expected. It is clear that recent healthy sales are continuing, although a word of caution was sounded for the coming months. It is possible we could see a significant drop off from recent months, especially with consumers beginning to feel the pinch of higher inflation. UK finance mortgage approvals for August showed that banks approved 39,402 mortgages for new house purchases which is down by 4.2% from a year ago. The figure had been expected to come in at 39,700 but it wasn’t too far away. For those of you who are interested, the highest-ever figure in a month was 93,541 in March 2002, while the lowest was 17,122 in November 2008. On the schedule today we have the Nationwide housing prices for September, as well as speeches from the Bank of England’s Andy Haldane and Mark Carney. On a monthly basis, house prices are expected to jump to 0.2% from -0.5% and on an annual basis, dip to 1.9% from 2% in the same month the previous year. The big release of the day was always going to be the Fed’s interest rate decision which was more or less certainly going to be in favour of increasing rates to 2.25%. While that much was known, the real talking points were likely to focus on any indications of future policy and whether there were any allusions to Trump’s tariffs and their possible economic impact. In short, everything happened as expected, with rates being hiked by 25 basis points to 2.25%, the majority of officials believing there will be a fourth rate hike in December 2018 and an allusion to the trade war. Chair Jerome Powell said that it was difficult to ‘see much happening at this point’ when asked about the impact of trade tensions, but there is a level of concern about loss of business confidence and the financial market reaction. Meanwhile, new home sales in the US jumped by 3.5% in August from the previous month to a seasonally adjusted annual rate of 629,000. It was the quickest pace of sales for six months and only provided further reasons for the rate hike. The gains follow two months of decline during summer and will be welcome news for those interested in a strong US economy. It is another busy day for the US, with the final reading of the GDP growth rate for the second quarter of 2018 at 1:30pm BST. Initial jobless claims up to 22 September will also be released and it will be interesting to see whether the amount of Americans filing for unemployment benefits can fall to a new record low. Durable goods orders are also on the schedule, while Fed Chair Jerome Powell will deliver a speech later tonight.